This Podcast was recorded at the ASPB Plant Biology 2016 conference. Bethany is an ambassador for ASPB and, of course, The Pub Club. In this dual role she has held discussions with ASPB about the function and impact of The Pub Club, and how this concept can be extended towards building the Plant Science Community at large. 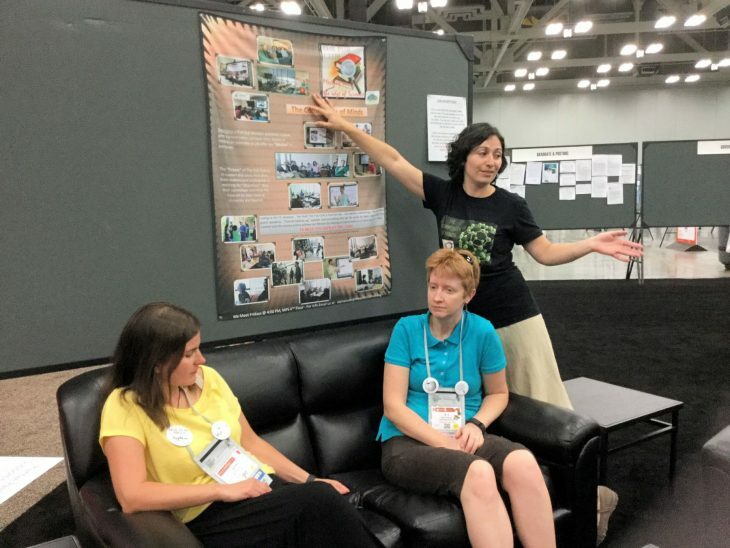 This being the case, Bethany asked Susan Cato @SusanCato (ASPB) if she could present a Pub Club / Community of Minds poster at the conference. Susan not only approved but offered to have Bethany host a “Meet-up” discussion on The Pub Club, the Community of Minds concept and how others could benefit from it. Those participating included Mary Williams @PlantTeaching (ASPB) Phil Taylor @JPhilipTaylor (ASPB/Monsanto), Erin Friedman @ejfphd & Paul Twigg @UNKBiol106, two women from industry. and several graduate students.